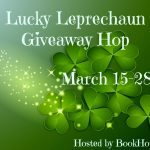 Spooktacular Giveaway Hop – Escape Reality, Read Fiction! It’s that time again. What time is that? 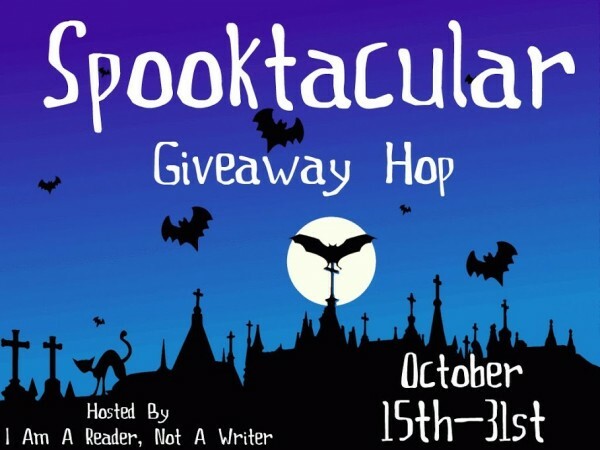 Time for the annual Spooktacular Giveaway Hop, hosted by I am a Reader, Not a Writer! I think the scariest thing I’ve seen this year is the mass proliferation of “Pumpkin Spice Everything” in every single store. While I’m grateful that the Pumpkin Spice Brigade is holding the too early Christmas Decoration Horde at bay, I think I’ve smelled enough pumpkin spice to last a lifetime. And the month is only half over. 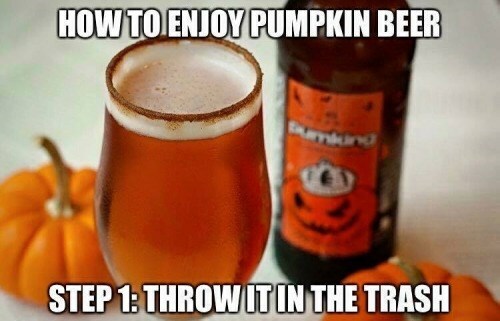 This is my favorite recipe for pumpkin beer. Or pumpkin anything except pie. If the endless promotion of pumpkin spice everything isn’t scary enough, there are plenty of books to make you shiver. I’m reading Broadcast Hysteria for Halloween. It’s about a real-life scare that should still be fascinating. On Halloween in 1938, CBS Radio broadcast Orson Welles adaptation of H.G. Wells’ War of the Worlds. And thousands of people got hysteric believing that Martians really were invading New York City. What scary books are you reading for Halloween? Or what’s your favorite scary book? 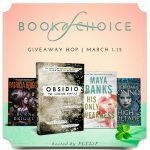 Let us know in the Rafflecopter for your chance at a $10 Gift Card or $10 Book. I’m not really into scary books. I’m not really planning to read one. The Shining is my favorite. My favorite scary book is Ghost Story by Peter Straub. I plan to read Enter Night by Michael Rowe this year. I do not have a favorite but I love to read ghost stories. I love the masque of red death by poe! I’m moving at the moment and don’t have time to read. I hope to one day read Amityville Horror. My favorite spooky book is Christine by Stephen King. I love Kendare Blake’s books. Thanks for the giveaway! My favorite scary book is Pet cemetary by Stephen king. I’ve never read a scary book. They really don’t appeal to me. I like Mary Hughes’ BITING NIXIE. I plan on reading some Stephen King short stories for Halloween. Even in the short ones he manages to scare the life out of me!! The Stand by King, also the show. I’m planning to read a Stephen King book for Halloween. just finished Alasdair by Ella Frank…loved it! My favorite was The Shining. I think “The Shining” was one of the scariest books. I want to read The Strain series. Dead Silence by Kimberly Derting. I don’t like super scary books, but I love good mysteries–like Mary Higgins Clark. I am a fan of Steven King. He is as scary as I intend to go although I would like to read misery! I think It that one scared me. The Shining by Stephen King. It is my favorite and it also scared me the most!!! I’m expecting a book about Portland ghosts in the mail, so hopefully I’ll be reading that soon. My favorite scary books are any Stephen King books. It, The Shining, ‘Salem’s Lot, and Pet Cemetery are some of my favorites. My favorite is Anna Dressed in Blood. I like Stephen King’s book any of them. The littles in my family like There’s a Monster in My Closet. I don’t like really scary stories. I plan on reading It by Stephen King. I love anything by R.L. Stine. And Then There Were None by Agatha Christie is my favorite. Thanks for the giveaway! My favorite is The Stand by Stephen King. I don’t really have a favorite scary book. I have scary books I’ve read that I won’t read again like “The Tommyknockers,” though. I always read Stephen King ‘s Pet Semetary this time of year. I still think it is one of his scariest stories. Thanks for the chance. My favorite scary book is The Shining by Stephen King. I liked reading The Legend of Sleepy Hollow to my students this time of year. My favorite spooky book is It by Stephen King. I enjoy anything by Stephan King! I haven’t read any really scary books but in honor of Halloween I’m reading Blood Promise which is the fourth book in the Vampire Academy series by Richelle Mead and Hollow City by Ransom Riggs. I’m reading Chapel Noir by Carole Nelson Douglas, which is about Irene Adler investigating Jack the Ripper, so scary indeed! It by Stephen King is my favorite scary book. And I love that meme you have about pumpkin beer! It made me lol. I’m hoping to finally finish The Stand. I’m always gong to love The Shining & the Exorcist! Books & movies! I’m looking forward to read Miss Peregrine’s Home for Peculiar Children by Ransom Riggs. Thanks for the chance! I haven’t read many scary books but I really want to read Ransom Riggs books as people says there good but creepy. Pretty much most of the Stephen King books, I’ve been reading them since I was 10. Anything by Stephen King. Thanks for the giveaway! My favorite scary book would probably be The Shining. Thanks for the chance!! SO far my favorite scary book is IT by Stephen King. Searching for a new favorite though. Picking a favorite scary book is hard. Thrillers are my favorite. I’m wanting to read the new JD Robb book from the In Death series. I don’t really have a favorite scary book but maybe I will win one this hop. I love As the World Dies by R. Frater. Favorite scary read has to be The Darkest Powers series by Kelley Armstrong. I am planning on reading Library of Souls. Thanks for the chance. I look forward to reading Chapelwood, the sequel to Maplecroft, by Cherie Priest. Book 1 was so excellent I really look forward to seeing what the author does in Book 2. Silence of the Lambs by Thomas Harris. I’ve never been able to watch the movie. 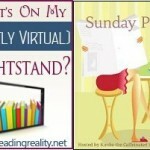 Pingback: The Sunday Post AKA What’s on my (Mostly Virtual) Nightstand 10-25-15 | Escape Reality, Read Fiction! I haven’t decided what to read yet… I don’t have anything planned. Thanks for the great giveaway! I’m a total wimp, I never read scary books – they make me unable to sleep. I happen to be a proud member of the pumpkin spice brigade! Anyway, I don’t have any plans to read a spooky book for Halloween, but my favorite spooky writer is Stephen King. I never read any Goosebumps books, so I think I will start those for my Halloween “scary” reading. This year I’m reading 13 DAYS OF MIDNIGHT by Leo Hunt! I Love anything Stephen King. He is so intense and reading his books freaks you out and is so awesome at the same time . Frankenstein is my favorite scary book. Thanks for the giveaway. I hope that I win. I recently read The Ghost of Graylock to try to get in the Halloween mood. It wasn’t very scary and was more suspense, but that’s just the way I like it! Thanks for the great giveaway hop! I haven’t read many scary books but I do like The Seer of Shadows by Avi. My all time favorite scary book is still “The Shining” by Stephen King. I was planning to read “Dr. Sleep”, also by Stephen KIng, this fall, but I have too many books that I still need to read first. One of my favorite scary books is Christine by Stephen King. I didn’t think I could believe a car was evil but, wow, I fully believed it while reading this story. Thank-you!! I would say The Amityville Horror. That one gave me nightmares. I just read The Halloween Tree by Ray Bradbury this week. It was good! I hear there’s a movie too. Any book by John Saul is creepy scary to me. I’d have to say The Shining is probably one of the scariest I’ve ever read. “It” by Stephen King, comes a close second! Black House by Stephen King is my favorite. I don’t have a favorite scary book, but I have a favorite scary author Stephen King. I am reading shiver right now it is a Halloween anthology! My favorite scary book is Salem’s Lot by Stephen King. I like Carrie, the book and the movie. I love Stephen King’s Pet Cemetery. Thanks. I love Stephen Kings It and The Stand. I want to get Pete the Cat: Five Little Pumpkins by James Dean for my nephew. My favorite scary books would be The Shining/Doctor Sleep by Stephen King and Let the Right One In by John Ajvide Lindqvist. One of my recent faves is Knock Knock by S.P. Miskowski. Right now I’m reading Days Gone Bad by Eric R. Asher. I don’t like scary books. I don’t read scary books but I do like The Raven by Poe. Loved IT by Stephen King! Slasher Girls and Monster Boys looks pretty good. Salem’s Lot is one of my favorites. Thanks for participating in the hop! My all time favorite is Amityville Horror. Thank you for the Halloween Giveaway. IT by Stephen King was pretty scary for me. I like Something Wicked This Way Comes by Ray Bradbury. I don’t read scary at lease it’s not scary to me but I do read paranormal Romance and Dark Guardian by Christine Feehan is a great kind of scary book. My favorite is The Shining. I’m a huge fan of horror, so I don’t have just one favorite! Thanks for the giveaway!! The Shining is my favorite scary book. I’m planning to read some Stephen King’s because I’ve never read any. Karen Moning’s Fever series is my favorite and is as scary as I get!